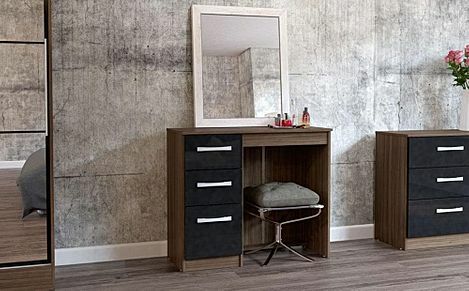 Contemporary style with practical, modern dressing tables, stools and mirrors in a variety of colours and finishes. 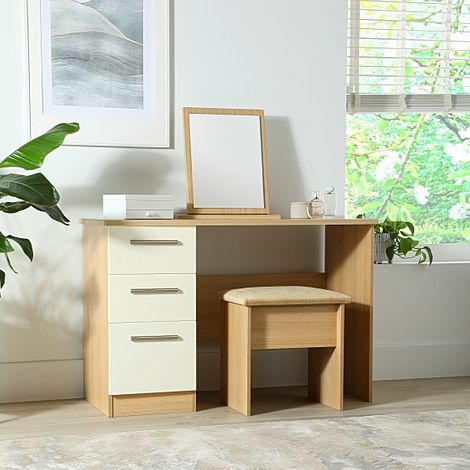 A perfect mix of form and function, a modern dressing table is a chic addition to any contemporary space. Choose from sleek high gloss dressing tables to bold mirrored options that offer a striking, reflective look. 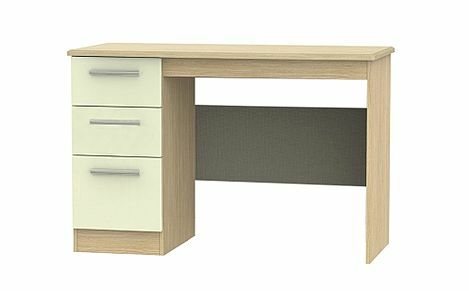 Alternatively, you can browse our classic range of oak, walnut and pine dressing tables to create a rustic and homely beauty centre in the bedroom. 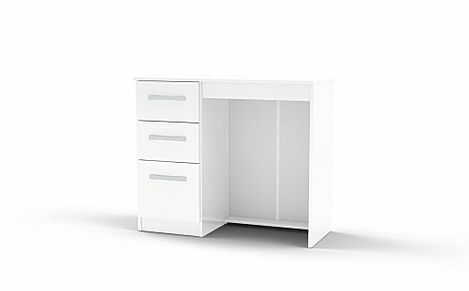 Our modern dressing tables are available in several stylish neutrals, from grey, cream and black, to minimal dressing tables in white. You can also complete your dressing table with one of our matching stools, or mix it up for a personalised look. Of course, no vanity is complete without a mirror for all your beauty needs. Our range of mirrors include compact designs for your desk, to or hanging options that will take up less space while maximising light in the bedroom. If you're looking to redecorate your bedroom at in one go, you've come to the right place. Shop our full range of bedroom furniture sets, from chest of drawers and wardrobes to quality mattresses for a stylish and functional bedroom.